With its steep valleys, breathtaking views and high peaks, the Alps attracts nature lovers and winter sport enthusiasts from across the globe. About 120 million people visit the Alps each year. The tourism business may be booming, but the very thing that draws people to this unique part of the world is being threatened by increased urbanization and mass tourism. Tourism is a top industry in the Alps, but the sheer number of tourists that visit the region each year are contributing to the destruction of its pristine wildlife areas. Adventure sports, such as canyoning, mountain biking and paragliding, are now reaching areas of the Alps that were once untouched by tourists. As a result, humans are encroaching on wildlife habitats and threatening biodiversity in the region. One of the most destructive tourist activities just so happens to be one of the most popular: skiing. 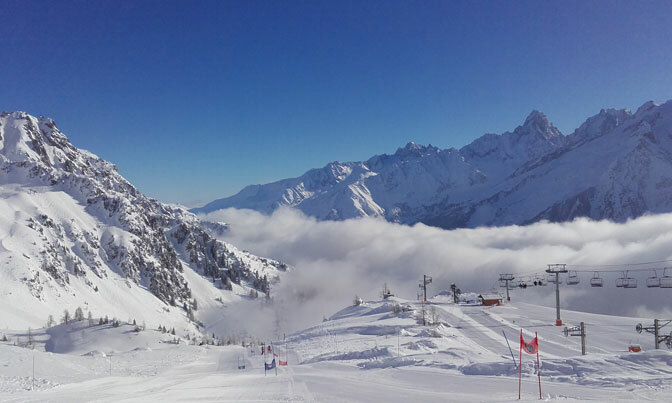 There are more than 300 ski resorts in the Alps with 10,000 transport facilities. Most people don’t realize that the construction of a ski resort causes permanent damage to the landscape. The use of snow canons further harms the environment because of the energy, water, biological additives and chemicals used. Tourism breeds urbanization, which is another growing threat to the Alp region. Urban areas are expanding, and wildlife in the valley is in danger. In some Alpine valleys, the damage is already done. Some of these areas have already lost nearly all of their biodiversity value. Valleys of the Rhine, Rhone, Adige and Inn rivers have been hit particularly hard and have lost most of their biodiversity. Expanding settlements in the valley bottoms are destroying natural habitats, including wetlands, floodplain forests, alpine steppes and riverbeds. While transportation infrastructure is great for humans, it prevents many localized species from developing ecological networks. Residential homes are further threatening the natural beauty of the Alps. Since 1950, homes have nearly doubled in size. While population growth has been minimal, the number of residential properties has increased significantly. Add this to the fact that the Alps is not an easy place to live. Cold winters and high altitude mean that homes require more heating than average. And the hard water in the region makes the heating systems of many homes even more inefficient, requiring some of the best water softeners in some cases. As cities and even small villages expand, even the most remote areas of the Alps are under the threat of urbanization. Winter tourism in the Alps brings in $66 billion each year. With such a huge industry, many businesses want to sweep the problem under the rug. To make matters worse, there are no international environmental standards for these resorts to adhere to. It is up to individual resorts and national regulations to set standards and lead the way. Now, resorts and local authorities are taking the threat of urbanization and subsequent climate change seriously. The more people that move to and through the Alps, the more pollution and the greater the destruction to wildlife and biodiversity. Six years ago, the Alps saw one of the warmest winters on record. Over the last decade, the region saw three of the warmest years in 500 years. But there are other organizations that are working hard to help preserve the Alps and protect the region from the effects of urbanization. What’s Being Done to Preserve the Alps? 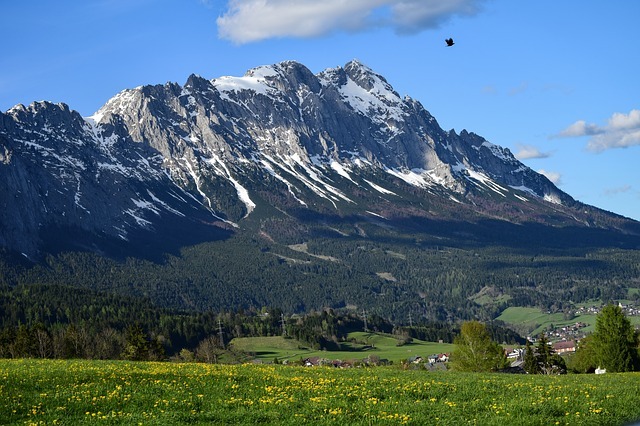 The World Wildlife Federation has taken steps to help preserve the natural beauty of the Alps, and continues to make the Alpine region a priority for preservation. The WWF has identified the Laghi Insubriei area of Italy and Switzerland to be one of the most critical areas to focus on and will use this area to test out its conservation efforts. The organization is focusing on three main habitats: rivers, dry meadows and forests. The WWF is working to help restore the dry meadows on the slopes of Monte Generoso to restore the local cultural heritage and to enhance the area’s rich wildlife. In the Vedeggio River, the WWF is working to help establish an ecological network. The organization is also working to help restore and protect forest habitats. Most importantly, the WWF is focusing on chestnut orchards, coppice forests and species-rich forests. Along with local habitats, efforts are also underway to restore populations of large carnivores, including the lynx, the bear and the wolf. To save the rivers, efforts are being made to establish a new river basin management plan for the Upper Traun River, restore the Rhine River and recreate floodplains near the Inn River. The Alps stretch 1,200 km with an area of 200,000 km2. Spanning across several countries, the Alps are in: Austria, France, Italy, Germany, Slovenia, Monaco, Liechtenstein and Switzerland. Tens of millions of years were needed to form the Alps, and nearly one hundred peaks are 4,000 meters or higher. The size of the Alps impacts Europe’s climate, and these mountains have five different climate zones. Many of these zones are suffering from the effects of climate change. The impact will be felt across Europe. The Alps have suffered from temperature rises of nearly 2C over the past 120 years. Putting this figure into perspective, The Alps have suffered nearly twice as much temperature increase as the rest of the world. This is a major concern for Europe which relies on the Alps to help stabilize climate. While this might seem like a small increase in temperature, the temperatures will be enough to affect the climate. Looking for evidence of rising temperatures, one only needs to look at the Alpine glaciers. These massive glaciers have started to melt. The problem is so bad that the glaciers are now half their size when compared to just decades ago. Researchers suggest that by the end of the century, the Alps will lose all of its glaciers. Animals that rely on the colder climate will need to adapt or die from the change in temperature. Glaciers play an important role in controlling the temperature in Europe and The Alps. Glaciers act as huge solar mirrors that reflect solar energy. When the glaciers start melting, there is less surface area for the solar energy to reflect off of. Ultimately, the less reflection will result in the sun heating up the earth further. Mankind has played a key role in climate change thanks to the burning of fossil fuels heating up the atmosphere. There’s also the fact that energy consumption per capita in the Alps is 10% higher than the European average. The harsh weather conditions may be one reason for higher energy consumption in the area. But there’s also the concern that many of the buildings in the area are in need of renovation. A lot of the buildings, primarily private residences, need renovation to be more energy efficient. Tourism and transport in the area has also increased. 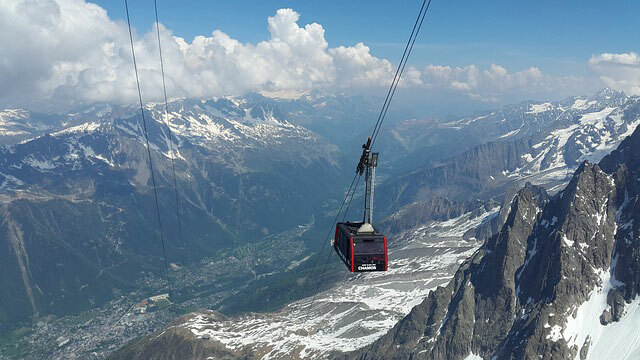 The tourism industry helps boost local economies, but the uptick of activity in the Alps and increase in transportation have caused the temperature to continue to rise. Motor cars are used for 84% of travel to the Alps, with motorised traffic accounting for 93% of all traffic in the regions. The Alps are one of the most important regions for holiday in Europe. Rising climate and melting glaciers will have an impact on the tourism industry as a whole. CIPRA is conducting a project to determine what can be done to help reduce global warming on the mountain ranges. The group is also looking at ways to help mitigate the coming damages that will occur if climate change is allowed to continue on its path of progressing. CIPRA will also be trying to conform to the principle of sustainability to find a sustainable way to lower the impact of climate change on the Alps. If researchers and scientists are correct, the majority of the glaciers that help the Alps control the climate will be gone. The loss of the glaciers will cause irreversible damage to Europe and the Alps as a whole. 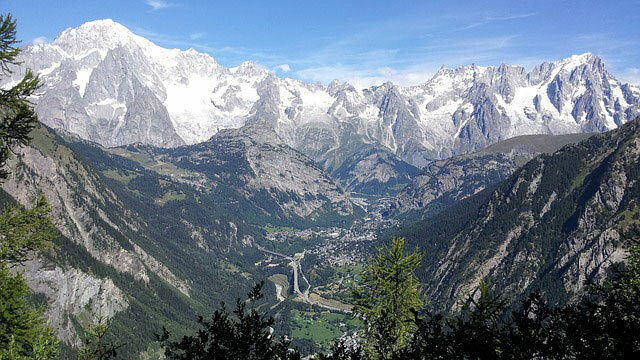 Situated at the base of Mont Blanc, the iconic resort town of Chamonix is known for its skiing and jaw-dropping views. But there’s something else this popular tourist destination is becoming known for: pollution. Despite its high elevation, Chamonix – and much of the l’Arve Valley – has some of the highest levels of pollution in all of France. As one of the oldest ski resorts in the country, the Chamonix’s idyllic location makes it a haven for skiers, outdoor lovers and climbing enthusiasts. What people don’t see is the industrial area of Passy in the valley below or the heavy traffic that now runs through the area day in and day out. While these factors contribute to the problem, the valley’s “V” shape is both a boon and bane for Chamonix. It provides breathtaking vides, but that V-shape makes the valley encased. And when high pressure systems move through, it traps pollution in the valley. The steep mountain sides, significant temperature differences and deep valleys trap pollutants in the valley floor, particularly on sunny winter days when the air is still. The largest source of pollution in the valley comes from residential homes, which produces fine particles from heating. Nitrogen dioxide from traffic is another big problem for this resort town. About 60-80% of the fine-particle pollution in the area comes from wood-burning stoves and fireplaces in homes. Fine and ultra-fine particles, the type that gets right into your lungs, does the most damage. Fine particle levels are dangerously high about 40 days out of the year. But there’s another pollutant, a cancerous organic compound, that’s quickly reaching concerning levels: Benzo(a)pyrene, or BaP. All of these pollutants are regulated by European laws, and the valley often exceeds daily limits. Alarms are raised when those levels become critical. At that point, people are discouraged from engaging in physical activity. Sport activities in schools are canceled. Kids are given blocks and cards to play with at break time to keep them from moving too much. Locals in the valley below complain of suffering from respiratory illnesses and coughs that just won’t go away. Pollution has long been a problem in Chamonix and the l’Arve Valley as a whole. People outside the valley are just now starting to take notice. Chamonix is well aware of its pollution problem, and is already taking steps to resolve the problem. One major step that Chamonix took towards reducing pollution is making all public transport free for both residents and visitors. The move to make public transport free costs the municipality five million euros per year, but has tripled the number of people using the system each year. A project is already underway to improve Chamonix’s rail system. Right now, taking the train to Chamonix is complicated, with many stops and long wait times. Grade Geneve, as it’s called, aims to improve the rail system to make the municipality more accessible via train. For residents, a local fund is offering to finance 20% of renovation projects. Tax breaks are also available to locals who install eco-friendly heating systems. Many of the local public buildings have also been renovated. Despite all of these efforts, there is one major source of pollution that Chamonix has little control over: heavy goods vehicles (HGV). 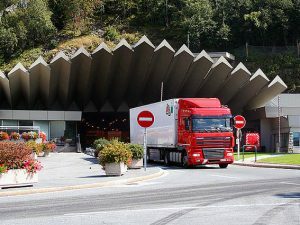 Half a million HGV vehicles pass through the Mont Blanc Tunnel each year. But improvements are also being made here to help limit the environmental impact of these vehicles. Today, 94% of HGV trips are made using eco-friendly lorries. Still, it will take time for the effects of these efforts to be seen. Should you let pollution keep you away from this skiing mecca? No. Chamonix’s mayor says pollution is not a significant problem up on the lifts. Should you ditch the open fire and trade in your rental car for the bus? Yes. If every tourist made these small changes, the impact on lowering pollution could be huge. Some locals have started to use an ionic air purifier in an attempt to increase the air quality in their own homes. Welcome to arsmb.com where we hope to increase public awareness of the human activities that are irreversibly damaging the Alpine environment.